Few days back we have posted a leaked image of LG Optimus Vu comparing with the Samsung Galaxy Note. And now the official details and images of the LG Optimus Vu are out. 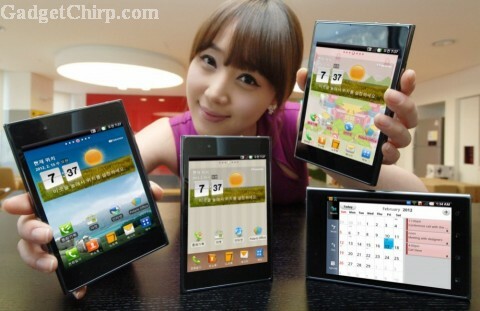 Even though LG Optimus Vu is smaller than Samsung Galaxy Note in length, it is bigger in width. And it will be really difficult to carry it in hands like a normal phone. The official features and specs of LG Optimus Vu are given below.